Includes International Air Ticket, Train Ticket, 5 Star Hotels, Breakfasts, Admissions, Sightseeing and Chinese/English Speaking Tour Guide. 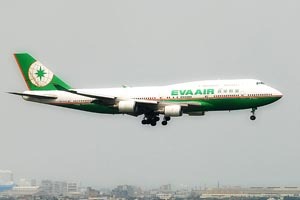 Today Depart from LAX to Taipei. 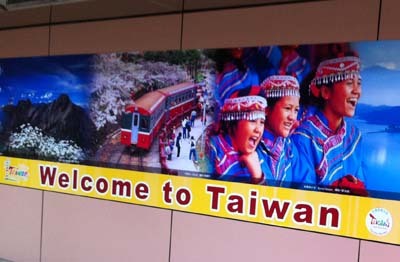 Arrive in Taipei. Take Airport Bus to Hotel. After Breakfast at Hotel, We will drive to Sun Moon Lake, Which located in the middle of Taiwan and situated 762 meters above sea level in the lofty mountains of Central Taiwan, tour will stops at the famous Wenwu Temple or Literature Warrior Temple dedicated to Confucius as Master of Pen and Kuan Ti as Master of Sword, Holy Monk Shrine and peacock garden. 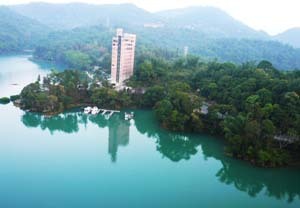 After touring round Sun Moon Lake, proceed to hotel for check in, we will overnight at Sun Moon Lake., you can enjoy natural hot spring at hotel. 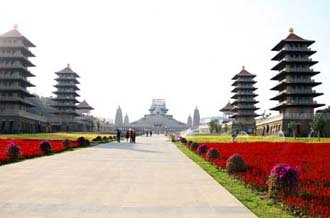 After breakfast, depart to the most famous Buddhist sacres place of Taiwan -Fo Guang Shan. Here you will learn about Buddhism during the monastery walking tour, and there will be chance to taste buddhist vegetarian lunch (at your own cost), Continuosly we will drive to Kaohsiung City, which is second largest city in Taiwan. 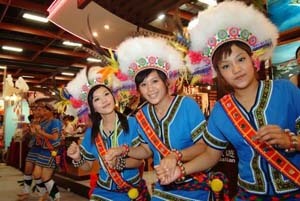 The tour will take you to Love River and Lio Ho Night Market. 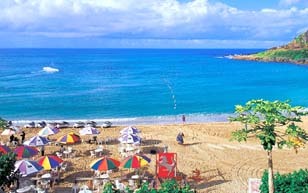 Morning tour to Kenting National Park, Located at Taiwan's Southern Tip and the 37 miles of coral-rimmed shoreline along three sides of the park provide its main attractions. Stop will be made at Oluanpi light house, Maopitou coast scenic area and Link Highway. 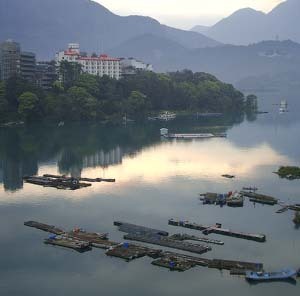 Overnight at Taitung, Enjoy SPA & Hot Spring Bath at Hotel. After Breakfast, Proceed for East Coast National Scenic Tour. The East Coast National Scenic Area, Known as "Taiwan's last unspoiled land", Stretches 170 kilometers down the east coast of the island. Weathering, erosion and accumulation have produced a wide range of landforms here. Our tour will stops at Siaoyeliou, Sansientai, Stone Steps, Caves of the Eight Immortals. Late Afternoon, We Will Proceed to Hualien for Overnight. After breakfast, we will make a visit to Taroko National Park. Taroko Gorge is an exceptionally beautiful, narrow raving created by the Liwu river which has cut deep into the mountains of solid marble. A road carved into sheer walls of rock rewinding its way past forested peaks and cliffs towering thousands of feet above it, while hundreds of feet below a river roars past gigantic marble boulders. Passing by Tunnel of Nine Turns, Ci Mu Bridge, stops will be made at Swallow Grotto, Changchun Temple and Shakadang Trail. 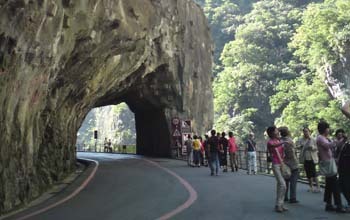 We will then drive back to Taipei with a stop at Qingshui Cliff, drive through Syue-Shan Long Tunnel to arrive at around 6 PM. 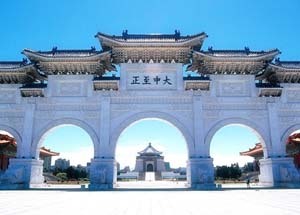 After Breakfast, Join Half Day Taipei City Tour, We will pass by Presidential Office Building, Visit Chiang Kai-Shek Memorial Hall, Martyr's Shrine, National Palace Museum, Chinese Temple and Handicraft Center. After Tour Ends, Take Airport Bus to International Airport for fly Home. ⊙ Weekend surcharge CI/BR $25 each way, CX $50 each way.